It’s 7:05pm on April 24th and room 430, in Love Library at San Diego State University, is packed. The room divider opens to accommodate last-minute stragglers, including the readers themselves—fashionably late. All seated, we wait. The anticipation builds as Megan Marshall, the director of the Hugh C. Hyde Living Writers Series approaches the microphone. She charms the audience, showering thanks to those who help make the series possible and then introduces our very own Scott Stewart to introduce the superstars of the evening: Forrest Gander, a poet, writer and translator, and Pura López-Colomé, an acclaimed poet from Mexico. What follows is one of the most engaging and effective readings of translation that I’ve had the pleasure of experiencing. The reading is truly a collaboration, as both poets approach the podium, “like a couple in the same bed,” López-Colomé jokes, each taking their comfortable sides. 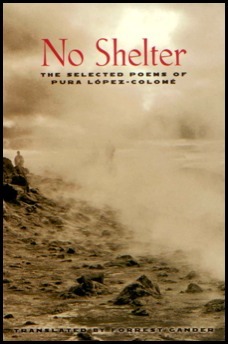 And, like a couple, they work off each other’s energy to perform Gander’s English translations of López-Colomé’s beautiful Spanish poetry, from their book No Shelter. With each poem performed in a slightly different way to mimic the collaborative effort, the audience is given a spectacular bi-lingual performance ranging from the traditional Spanish-then-English (or original-to-translation) to a powerful “braiding” of the two. We are brought into a world that Gander describes as an “articulated path never before described”—that is, until now. This path explores the dramatis persona, the voice, fear, heartbreak, as well as the way in which cultures and traditions can reinterpret or transform themselves. The effect is enchanting. We are lulled into the serenade of the Spanish original and brought into the dream-like life of the English. As López-Colomé declares, “These poems [the translations] are not mine, they are Forrest Gander’s—they are yours.” And truly, they begin to feel that way, mesmerizing their way into our unconscious, ending the same way they began, on the beautiful music of López-Colomé’s Spanish originals. 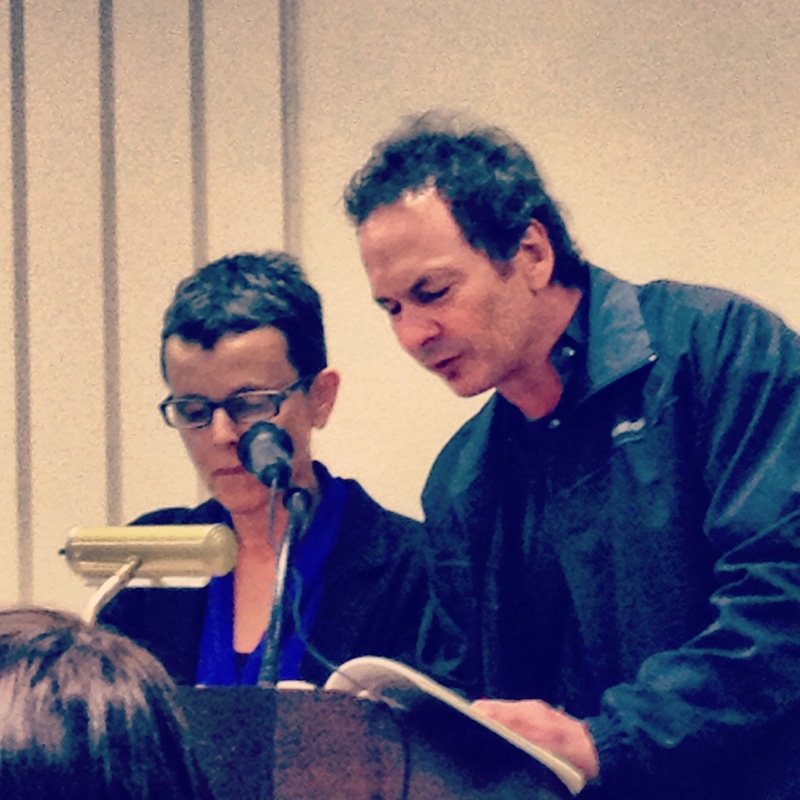 Tags: collaboration, Forrest Gander, Hugh C. Hyde Living Writers Series, poetry, Pura López-Colomé, reading, translation. Bookmark the permalink.